Today was such a lazy day here. I didn’t get out of my jammies until about 7:00 p.m. and I only did it then because I wanted to run outside and get a photo of this quilt ( and my neighbors just didn’t need to see me dressed that way). 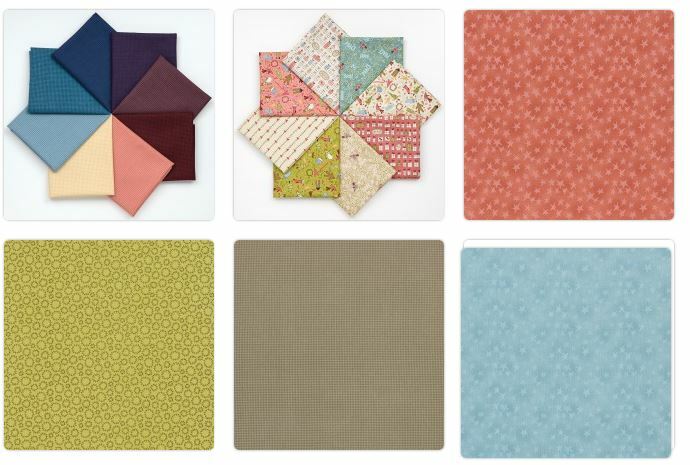 So as a reminder – these were my fabrics. The first short stack (which looks like solids but is really little tone on tone checks) was extra I bought and I mixed some of them in with the other challenge fabrics. 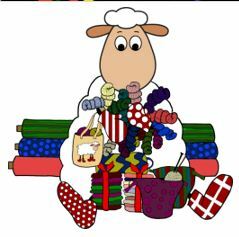 My challenge fabric short stack are little Christmas prints. 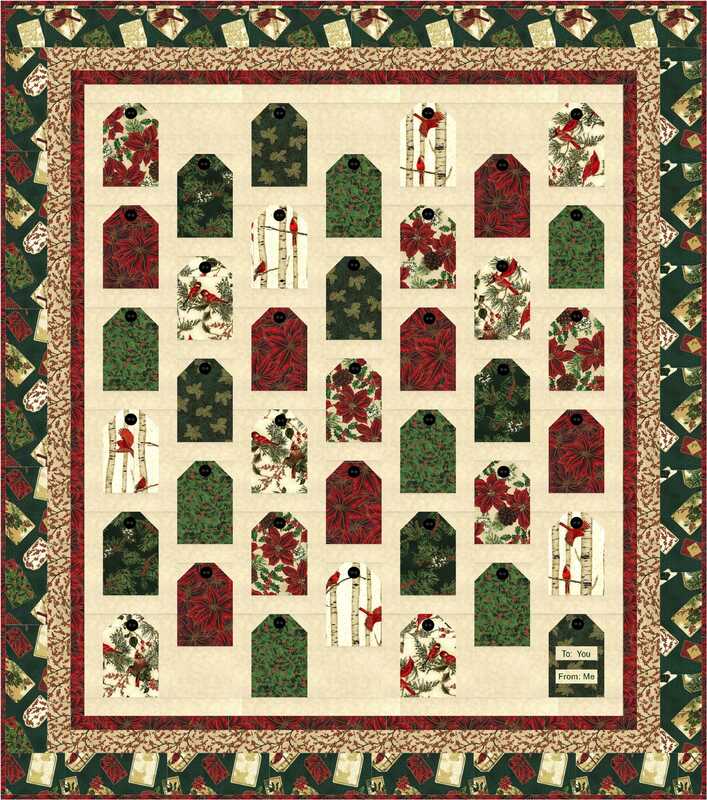 I love Christmas quilts that are the traditional red and green. Oh and the other part of the challenge – to use fabrics outside your comfort zone — that would be the pink tones in those fabrics because if you know me, you know I dislike pink in all things (tho occasionally I do force myself to use it but it’s usually in things that will be going to other people). And truthfully, I don’t hate it in this quilt because I love the overall combination. It will be my lap quilt this winter. And here’s the finished quilt. 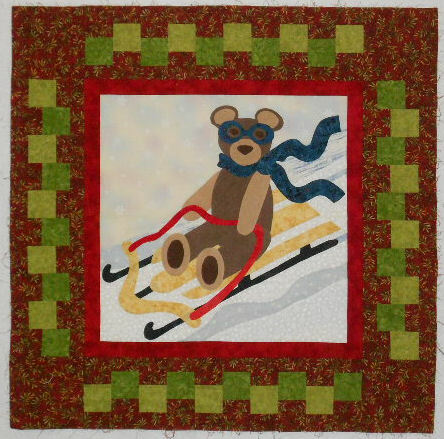 It uses two blocks from EQ – one called Tiramisu and one called French Silk Pie – which are alternated and since they have dessert names, I call this quilt “Just Desserts.” It ended up about 57″ x 77″. The binding is made up of scraps from many of the fabrics since I didn’t have enough of the sashing fabric to bind it with just that fabric. Now that I’m done with my Camp projects, I’m already planning what quilting project to work on next. Not only is the quilt lovely but I really like the scrappy binding. 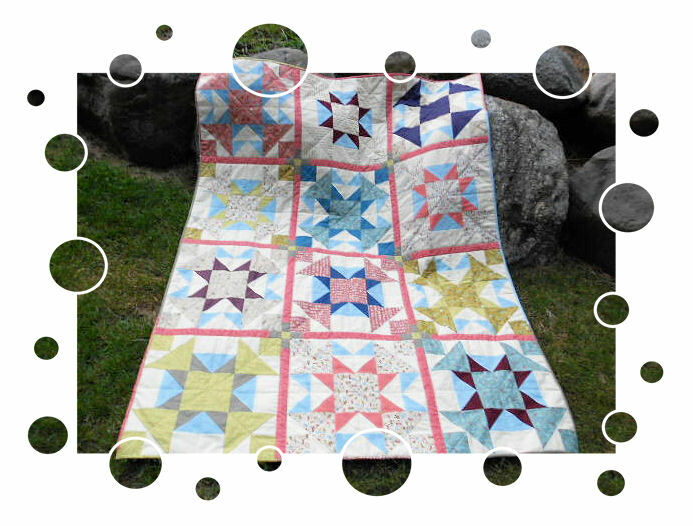 Love the quilt…the fabrics really are pretty together. Very nice. I love the name you gave it.